Everyone’s favorite Cabinet Secretary Dr Fred Matiang’i is at it again as he continues with his impressive track record of reforming the public sector. The Interior Cabinet Secretary has now announced a competition to identify the cleanest police station in the country. The competition will fast-track realization of reforms in the Police service. The assessment criteria will involve cleanliness of police stations and citizen review of services. Speaking Monday, Matiang’i said the government, through the police service, will introduce the annual competition in July this year. He added that the Officer Commanding Station (OCS) of the winning station in the competition will be promoted automatically. 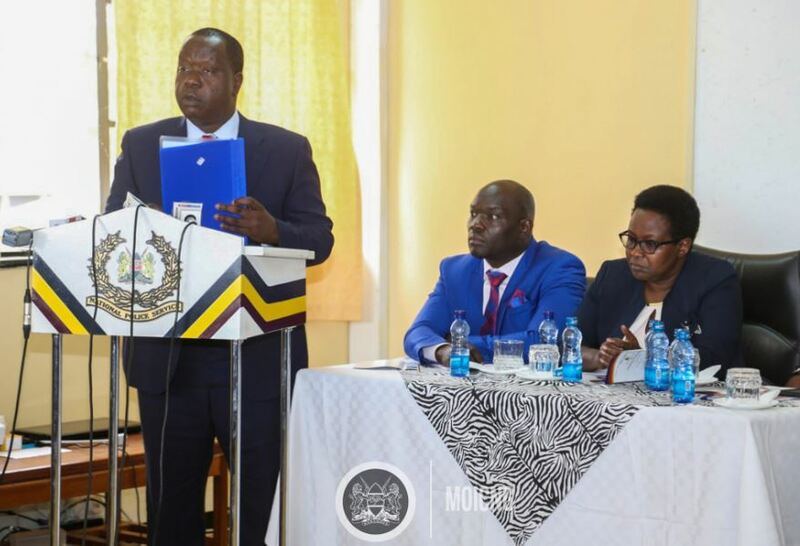 While addressing senior officers at the Kenya Police Staff Training College in Loresho, Dr. Matiang’i said that the move is aimed at providing citizens with a clean environment. The CS stated that citizens have a right to be served in conducive environments that are not demeaning or dehumanizing. “I will go to Naivasha Police Station myself, that’s where we’re going to begin this competition; we want clean police stations. When wananchi come to be served, let them be served in a clean and respectful environment. We will begin the assessment after July when you have had enough time to talk to your commanders in the field,” said Mr. Matiang’i as quoted by Citizen Digital. 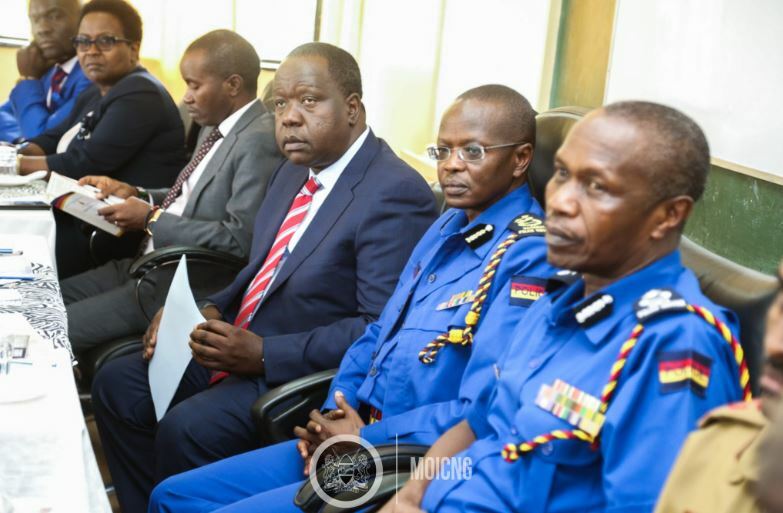 Matiang’i also challenged senior police officers, composed majorly of regional commanders, to make regular visits to police stations within their assigned areas to ensure smooth running of operations. “One area we must improve in the police service from this day forward is managing the police officers we’re in charge of. You regional police officers must manage the people we have given you; managing people means visiting them, sitting down with them and listening to them,” he said. The tough-talking CS said President Uhuru Kenyatta is set to launch a new modern senior police leadership training campus in Karen where officers will interact with and receive training from their colleagues across the world.